This week is JUNGLE week on The Frame Loop. We’ve presented our favourite songs, films and artworks, so here are our favourite books to tackle the theme: journals from the depths of the Amazon; a cryptic detective story set in a labyrinthine city; and an odd and eery novel driven by the maze-like nature of the human mind. Walter Henry Bates was an English naturalist and explorer who to set off to Brazil in 1848. After arriving in Belem, Bates ventured along the Cameta on the Tocantins River, up the Amazon to Obidos and eventually Tefe, where he set up a camp and was based for 4 years By the time he’d returned in 1859, he’d sent back over 14,000 insect specimens, 8000 of which were new to science. His journals were published on the year of his return, and brim with vivid descriptions of the jungle and detailed notes on species numbering jaguars, turtles, alligators, birds and snakes. Since Bates was able to spend extended periods with different settlements during his eleven year trip, the majority of which welcoming and highly accommodating, and there are many anthropological observations of these cultures, and for the most part objective and respectful. A particularly memorable anecdote arrives during Bates’ stay in Catua, when he accompanies the entire village populous in their annual turtle egg harvest, which proves a detailed and enlightening chapter. ‘In Catua, settlement on the Amazon: ‘One day I amused myself by taking a basketful of fragments of meat beyond the line of the ranchos, and drawing the alligators towards me by feeding them. They behave pretty much as dogs do when fed – catching the bones I threw them in their large jaws, and coming nearer and showing increased eagerness after every morsel. The enormous gape of their mouths, with their blood-red lining and long fringes of teeth, and the uncouth shapes of their bodies, made a picture of unsurpassable ugliness. I once or twice fired a heavy charge of shot at them, aiming at the vulnerable part of their bodies, which is a small space situated behind the eyes, but this had no other effect than to make them give me a horse grunt and shake themselves; they immediately afterwards turned to receive another bone I threw to them’. 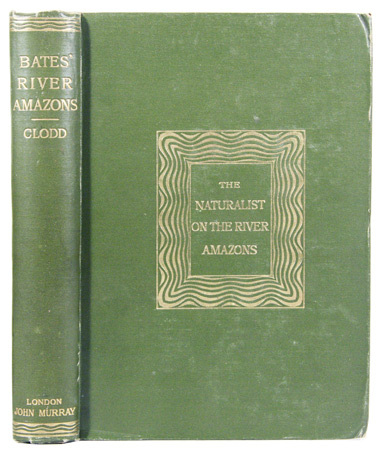 Penguin published choice extracts of Bates’ journals as ‘In the Heart of the Amazon Forest’ in 2007, a slim volume yet a fine and highly recommended introduction to the explorer’s engaging writing. 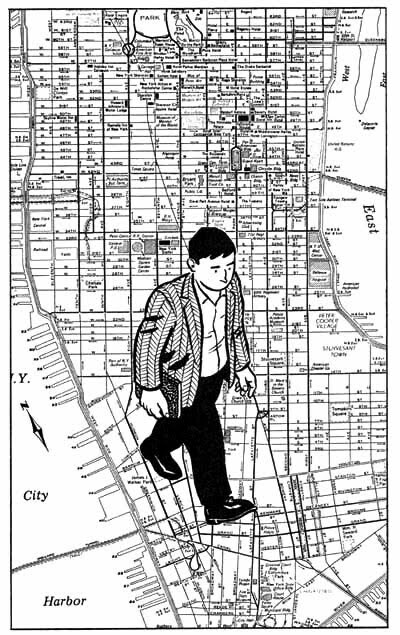 Paul Auster’s trilogy of detective stories is set in a labyrinthine Big Apple. Auster assumes the tropes of detective fiction, harking back to the hardboiled writers of 1920s and 30s America, whilst also harnessing certain metafictional devices. ‘Each time he took a walk, he felt as though he were leaving himself behind, and by giving himself up to the movement of the streets, by reducing himself to a seeing eye, he was able to escape the obligation to think, and this, more than anything else, brought him a measure of peace, a salutary emptiness within…By wandering aimlessly, all places became equal and it no longer mattered where he was. On his best walks he was able to feel that he was nowhere. And this, finally was all he ever asked of things: to be nowhere’. As our protagonist begins to lose a grip on reality, Auster writes himself into the narrative of the story. Adding further to the cryptic, maze-like construction of the narrative are frequent, subtle references to Miguel Cervantes’ 17th century novel Don Quixote, an influential work of metafiction which Auster has listed in interviews as his favourite book. 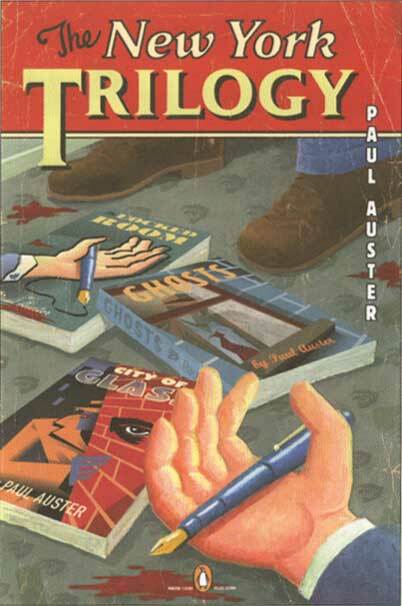 NB: City of Glass was adapted into an acclaimed graphic novel by Paul Karasik and David Mazzucchelli (illustrator) in 2004. Check out a page of the striking artwork below. 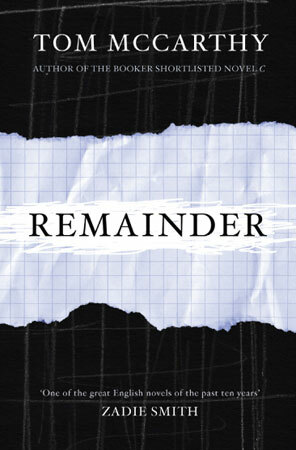 To call Remainder’s narrator unreliable would be something or an understatement. Our unnamed anti-hero is involved in a freak accident (‘it involved something falling from the sky’), which results in an £8.5 million settlement, but also severe loss of memory and injuries only a gruelling programme of operations and physiotherapy can put right. ‘The sense of déjà vu was very strong. I’d been in a space like this before, a place just like this, looking at the crack, a crack that had jutted and meandered in the same way as the one beside the mirror. There’d been the same rack, and a bathtub also, and a window directly above the taps just like there was in this room – only the window had been slightly bigger and the taps older, different. Out of the window there’d been roofs with cats on them. Red roofs, black cats. It had been high up, much higher than I was now: the fifth or sixth floor or maybe even seventh floor of an old tenement-style building, a large block. People had been packed into the building: neighbours beneath me and around me and on the floor above. The smell of liver cooking in a pan had been wafting to me from the floor below – the sound too, the spit and sizzle’. This impromptu triggering of memories associated with the narrator’s accident is incredibly out of the blue; since awaking from his coma, he could barely recall a thing about his life immediately prior to the fateful event. He soon becomes obsessed with piecing together his life before the accident, the chain of events that lead up to it, and the almost forgotten sensation of being inside a moment after such an extended period of mental and physical stasis, that he comes to a sudden decision; ‘Right then I knew exactly what I wanted to do with my money. I wanted to reconstruct that space and enter it so that I could feel real again. I wanted to; I had to; I would’. So, he goes about doing just that; acquiring a residential building that fits the bill, soliciting a team of cat-handlers to position the creatures on the roofs opposite, and employing actors to fry the liver and play the lilting piano tunes he smelt and heard on the morning of the accident, the whole team ready to interact with him completely at his whim. What ensues is a novel with great scope and an addictive narrative, exploring one man’s fascination with the gap between action and reconstruction, and the manipulation of events by memory.. After all, as he posits himself; ‘minds are versatile and wily things. Real chancers’. What have we missed? Leave a comment below, and be sure to check out our playlist, as well as our selection of films and visual art. This entry was posted in Literature and tagged city of glass, jungle, paul auster, remainder, rob fred parker, the frame loop, the naturalist on the river amazons, the new york trilogy, tom mccarthy, walter henry bates. Bookmark the permalink.